Prosecutors say a former Oklahoma Republican House leader has pleaded guilty to a felony count of perjury, admitting that he lied on travel reimbursement claims submitted to the state when he had already been reimbursed from his campaign account. 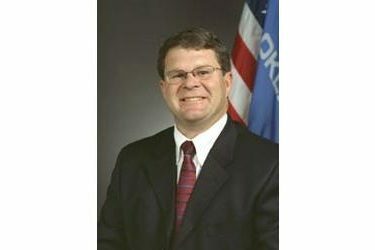 Oklahoma County Assistant District Attorney Scott Rowland confirmed 61-year-old Gus Blackwell received a five-year suspended sentence on Wednesday and was ordered to pay $10,000 in restitution to the Oklahoma House of Representatives. Rowland says Blackwell avoided any jail or prison time, but will have a felony conviction. Blackwell initially was charged with 32 counts of embezzlement, four counts of making a false claim against the state and eight counts of perjury.